Available in the freezer section of most grocery stores. 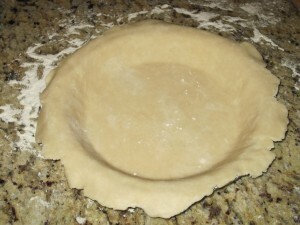 Pie crust made from scratch. 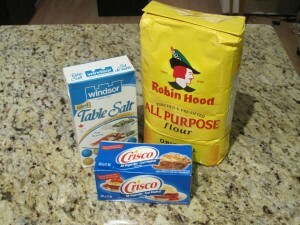 Whisk the flour and salt together in a medium size bowl. 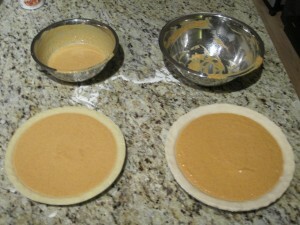 With a pastry blender cut in the cold shortening until the mixture resembles coarse crumbs. Drizzle 2 to 3 tablespoons ice water over flour. 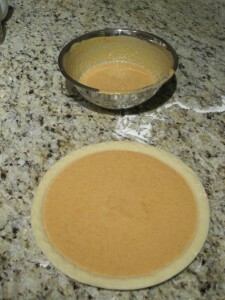 Toss mixture with a fork to moisten, adding more water a few drops at a time until the dough comes together. 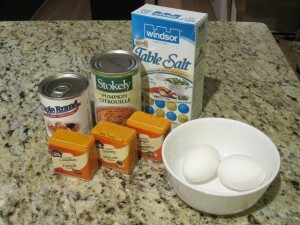 Gently gather dough particles together into a ball. Wrap in plastic wrap and chill for at least 30 minutes before rolling. 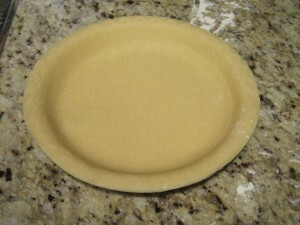 I found this to be the most interesting part of the experiment in that Tenderflake indicates that their pie crust is 9 inches in diameter but if you compare it against the 8 3/4 inch pie pan that I used, it definitely looks smaller. This is because it measures 9 inches in diameter from rim to rim whereas the pie pan I bought measures 8 3/4 from the lip of the pan but measures 9 1/4 inches from rim to rim. The pie pan I bought was also slightly deeper and was able to take all the filling that was prepared resulting in no food wastage. 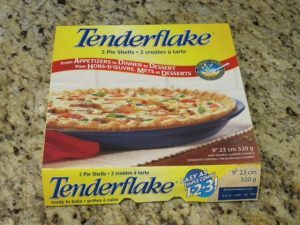 (Note: Tenderflake does carry a “Deep Dish” variety. I will make a point to choose that one next time). 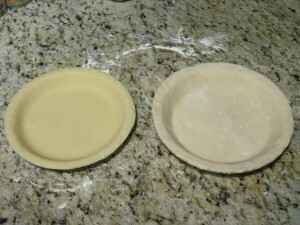 The taste test results indicated that while more people preferred the home made pie crust, an almost equal number of people preferred the frozen pie crust over the home made one. 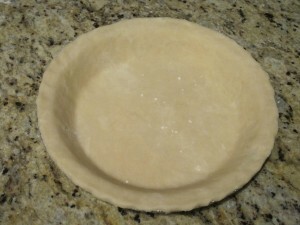 In fact, some people mistakened the Tenderflake frozen pie crust for the home made one. It looks like Tenderflake makes a pretty good product. There was no contest with this one. The canned pumpkin was the clear winner from a texture, flavour and appearance standpoint. 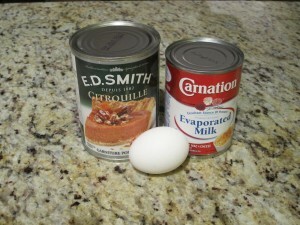 If you have a choice between using canned pumpkin or canned pumpkin pie filling, choose canned pumpkin and do the extra step of adding the additional ingredients – it’s definitely worth it! 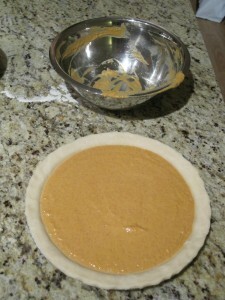 If you want to save time and take shortcuts, use a frozen pie crust but use canned pumpkin for the filling (not canned pumpkin pie filling). Very interesting! A very practical tip!